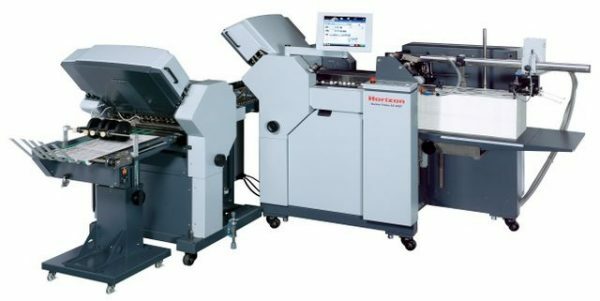 The Standard Horizon AF-406F is a small-format fully automated 6-buckle folder with pile feed and suction head with an optional 6-buckle second unit that can be added straight or cross-wise, for sheet sizes from 1.97” x 3.94” up to 16.92” x 25.98”. Small folds down to .79” can be performed. This provides application flexibility, especially for the insert, and pharmaceutical markets. The AF-406F has 17 pre-set fold patterns. For production efficiency, 200 custom jobs can be stored in memory for easy recall, with automated make-ready in seconds. A user-friendly 10.4” color touch-screen control panel displays all common fold formats and sheet sizes for easy selection and automated setup.